Volkswagen’s largest SUV for sale in the U.S. is a unibody chock-full of ultra-high-steels, the company confirmed earlier this month. 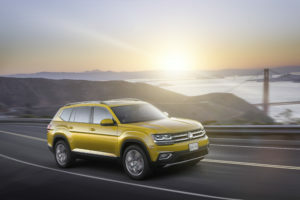 “Essentially, we make them out of steel, high-strength steel, and ultra-high strength steel,” Volkswagen senior product and technology communications manager Mark Gillies wrote in an email when we asked about the body-in-white, panels and closures for the Atlas and next-generation Volkswagen Tiguan. Gillies provided us with the broad strokes of the body-in-white for the European version of the 2018 Tiguan, a smaller SUV built on the same Modular Transverse Matrix architecture as the Atlas. 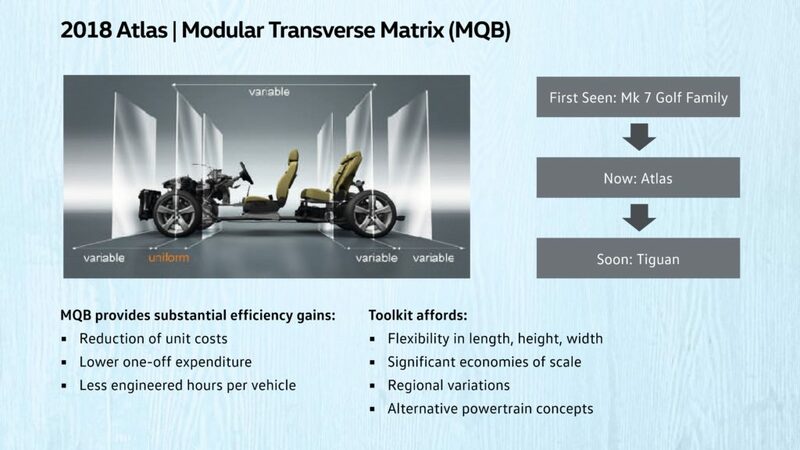 “I don’t have a similar schematic for Atlas, but the proportions would be similar,” he wrote. Areas including the A- and B-pillars, transmission center tunnel, front floorwell (kickout panel), roof rails, inner frame rails, and rear floor crossmember are all “ultra-high-strength hot formed steel” with more than a gigapascal of tensile strength. 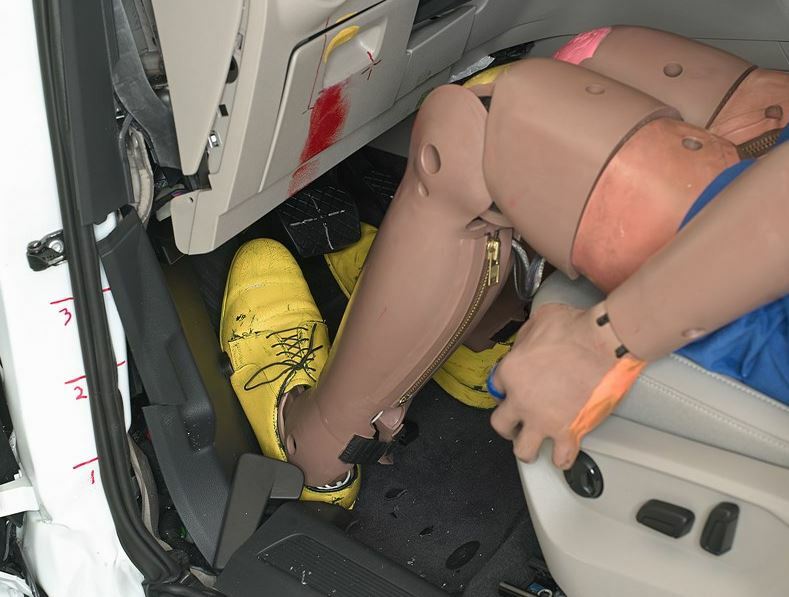 “Measures taken from the dummy indicate a low risk of any significant injuries in a crash of this severity,” the IIHS wrote. However, delivering this combination of lightness and strength through ultra-high-strength steels comes with a tradeoff. For body shops, many if not all of these parts will be replace-only and carry very specific heat and sectioning restrictions. 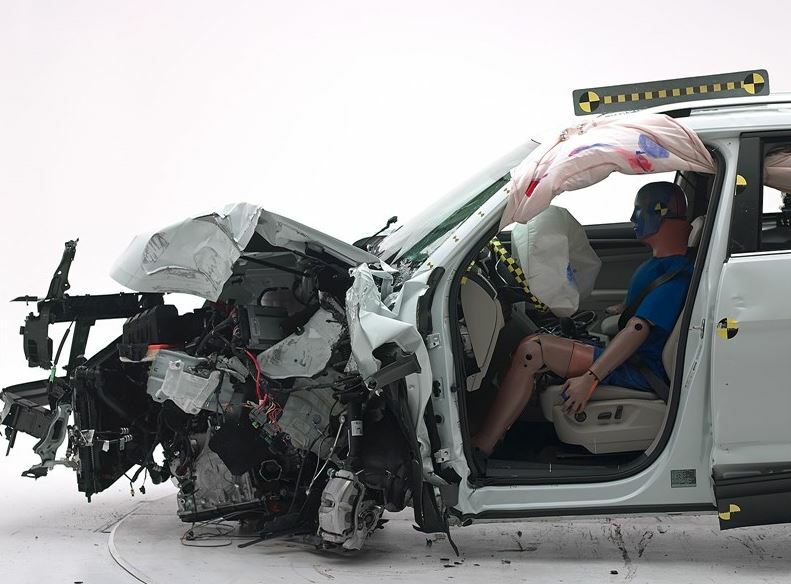 A shop is going to have to consult Volkswagen repair procedures to fix this SUV or risk undoing all of Volkswagen’s hard work protecting what could be as many as seven occupants inside. Volkswagen started selling the Atlas mid-May. It’s already sold 5,329 through the end of July, which puts it halfway to the Beetle’s sales since Jan. 1 in just a couple of months. Read the repair procedures to prepare — and don’t forget to check for the calibration demands of the vehicle, either. Besides any typical standard technology requiring calibration, the Atlas comes standard with a backup camera (as all 2018 vehicles must) and post-collision braking, which continues to slam on the brakes once the airbag sensors detect a crash to “reduce residual kinetic energy and, in turn, the chance of additional damage,” according to Volkswagen. 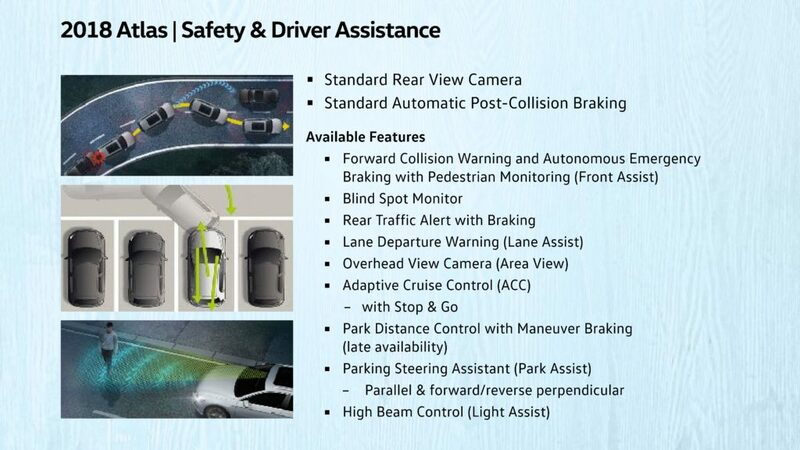 Autobraking and other advanced-driver assistance systems are also available as options. See other features a shop might encounter with these Volkswagen media slides.